The beautiful and exotic orchid is often considered a mystery, but many kinds are easy to grow. Cindy Gandolfi, owner of Cindy's Secret Place, a garden shop on her farm in Dade City, will demonstrate tips about orchid care, how to choose orchids as well as how to transplant them. 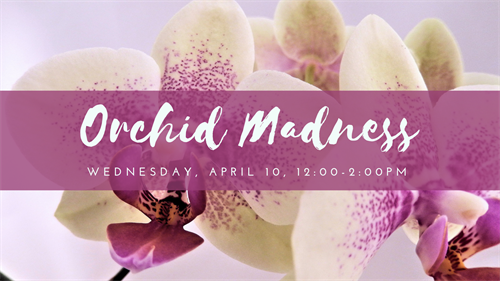 Cindy will also discuss when and how to separate orchids for the minimum amount of stress to the plant, the products available today to fertilize and prevent diseases and insects, and will be sharing easy tips for the care and maintenance of your orchids. Different varieties of orchids will be on display for you to examine up-close and will be available for purchase. This class will answer your questions and make you more comfortable with growing orchids in your home. Register online or in person at the library for this free class. Seating will be limited!